Dental care is much more than a pretty smile or good breath, it is about quality of life and optimal health. Dental care is necessary to prevent pain and infection to other organs. 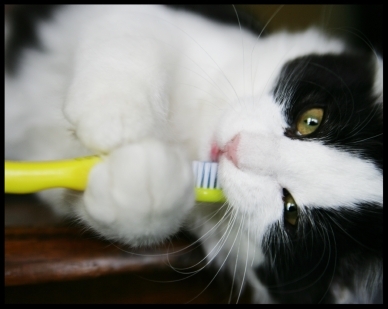 Do you need to worry about your cat’s teeth? Absolutely! Dental disease is the most common health problem in cats, with 70% of cats 3 years and older affected with periodontal disease. And it is often a “silent disease,” with most owners unaware the disease is happening. Downtown Toronto Cat Clinic is proud to have a state-of-the-art veterinary dental equipment and new dental x-rays. Our experienced veterinarian and staff have undergone extensive training in feline dentistry, which allows us to offer the highest level of dental care for your cat. We perform oral surgery including extractions and dental cleanings. We were one of the few veterinary hospitals in the Toronto area to offer dental x-rays for cats. 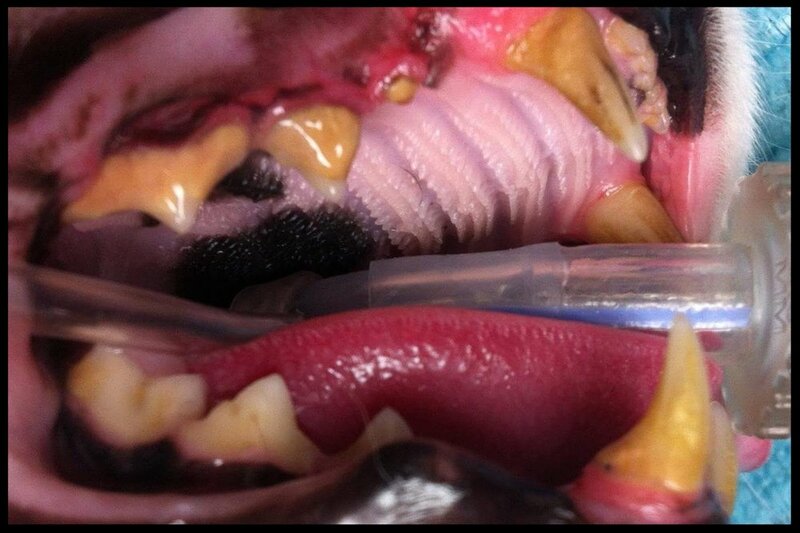 Without dental x-rays, it is impossible to properly evaluate your pet’s dental health. Just like in people, many pet dental problems are below the gum line and can only be detected with x-rays. Without x-ray technology, many painful dental conditions are missed, leaving your cat’s teeth, gums, and dental health at risk. Our veterinarians are able to accurately diagnose these problems and treat them appropriately. Help reduce the likelihood of painful and unpleasant oral diseases for your cat—schedule a veterinary dentist appointment today. Cats are very adept at hiding symptoms of pain and illness. Bad breath is the only symptom of dental problems that you are at all likely to observe in your cat. Dr. Bonder will exam your kitties teeth and determine if they require a dental cleaning and dental extractions and develop an individualized dental plan.